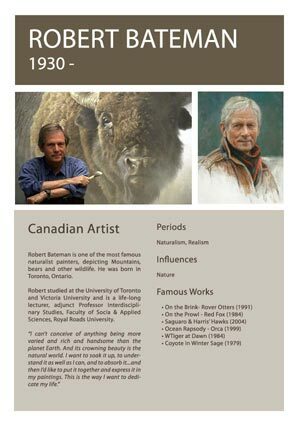 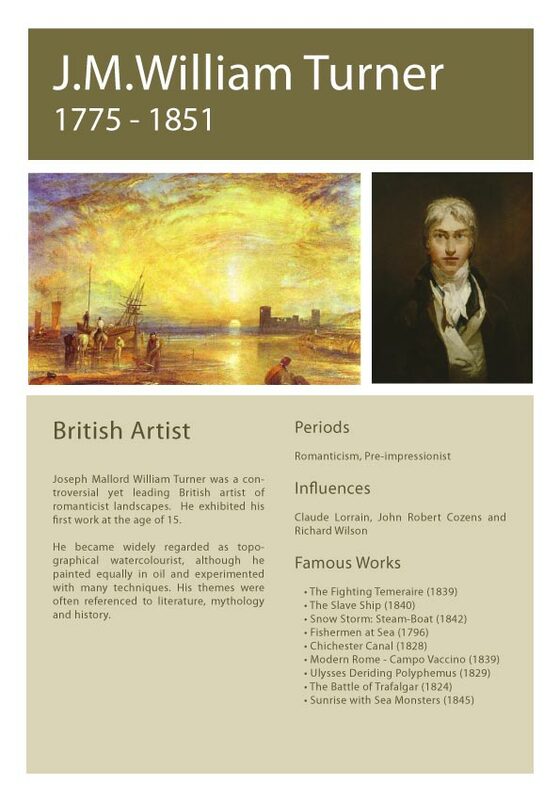 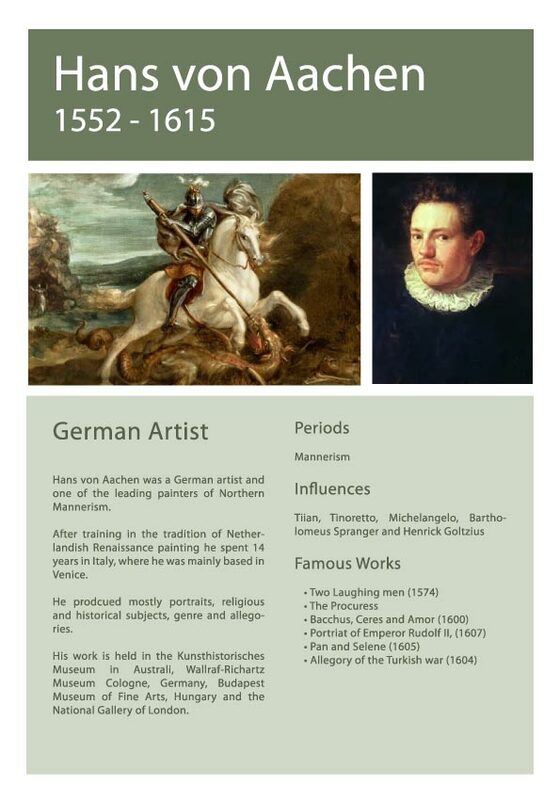 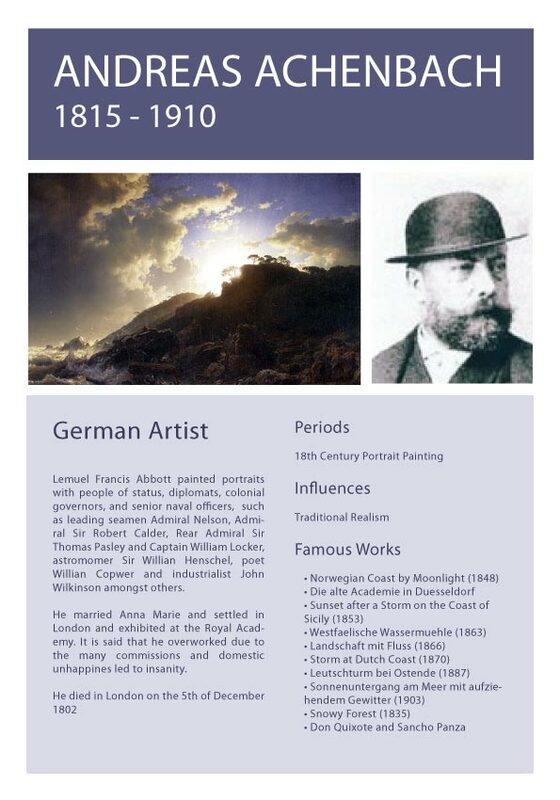 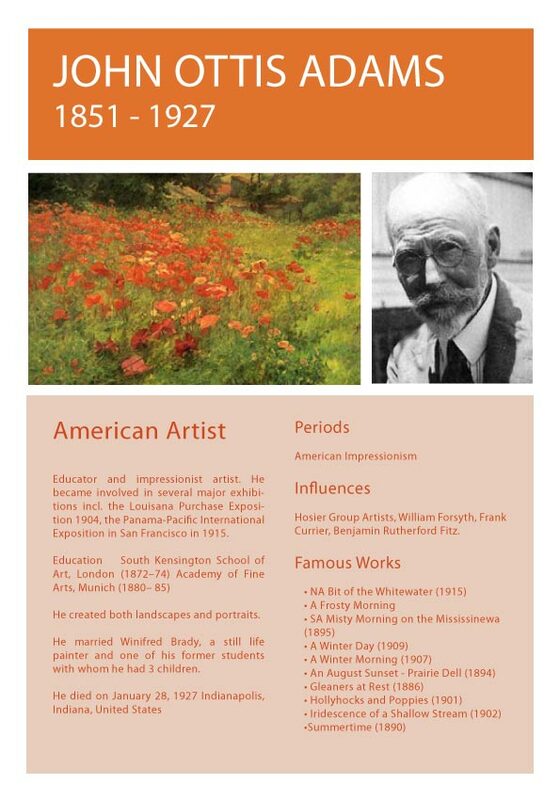 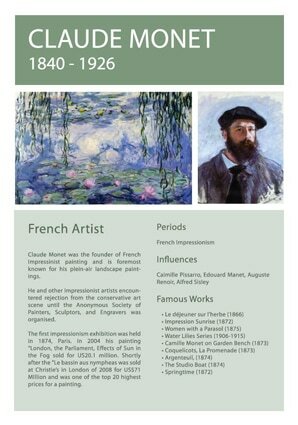 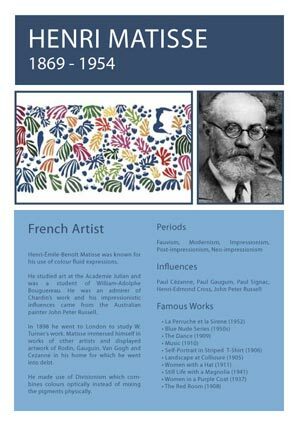 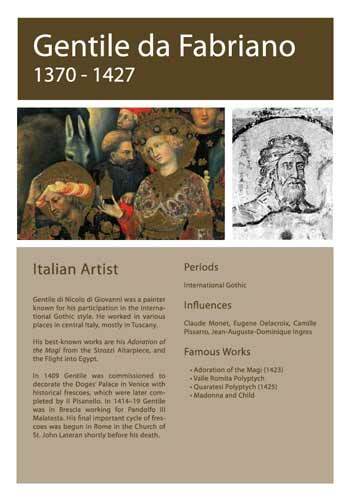 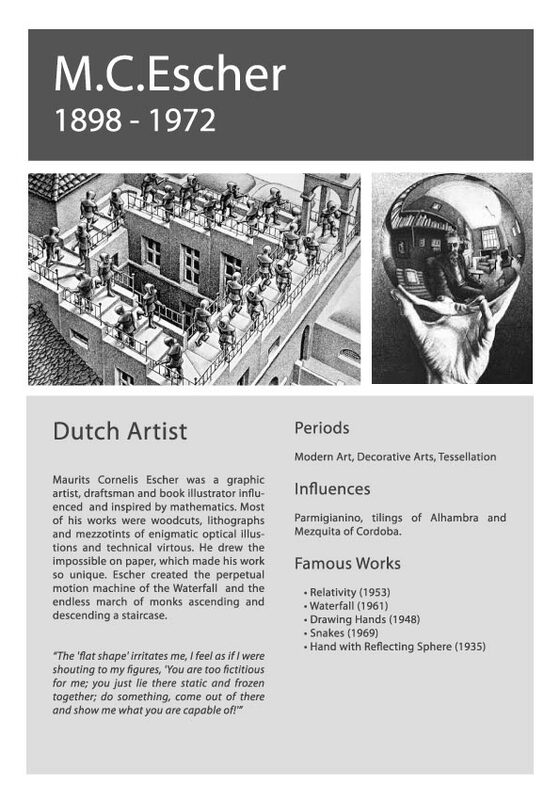 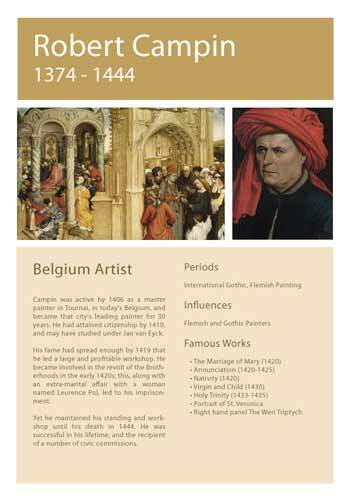 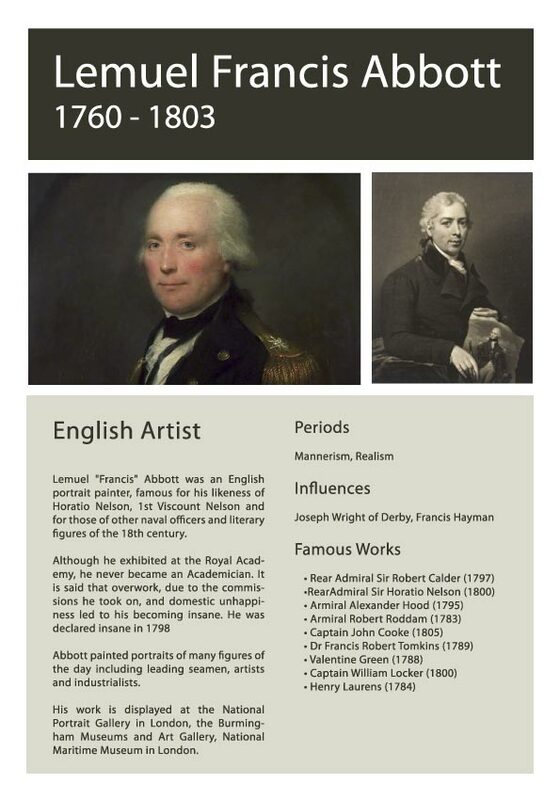 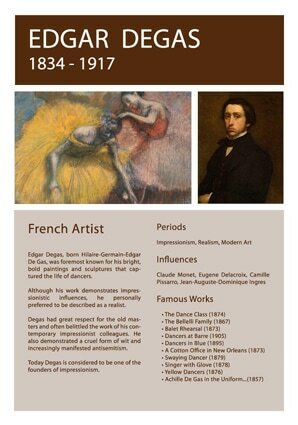 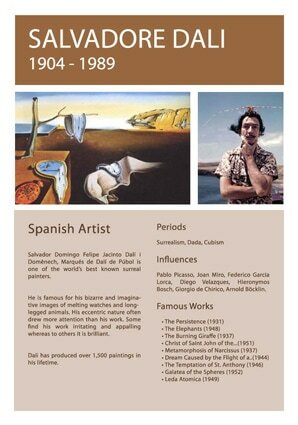 Printable facts about our greatest creative painters! 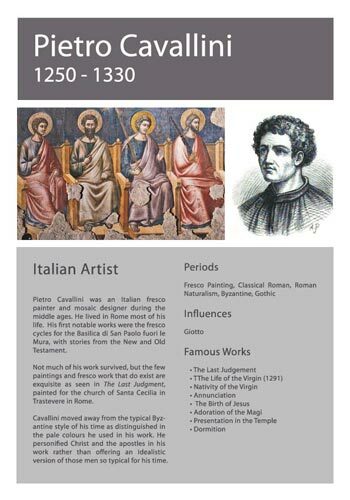 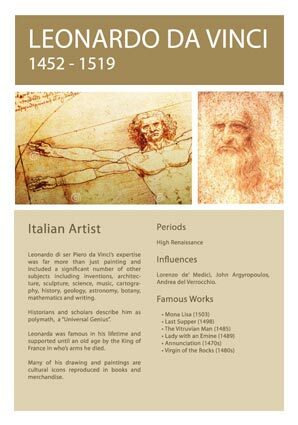 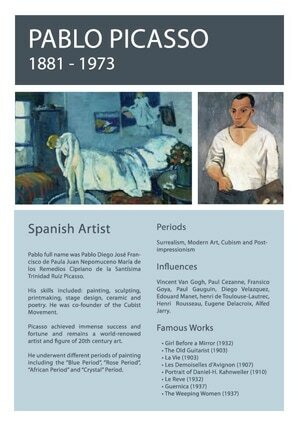 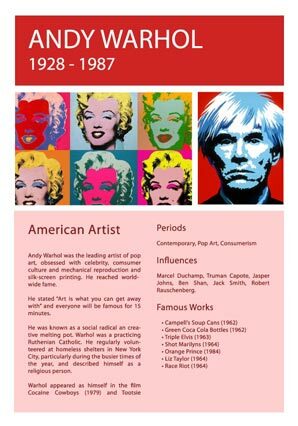 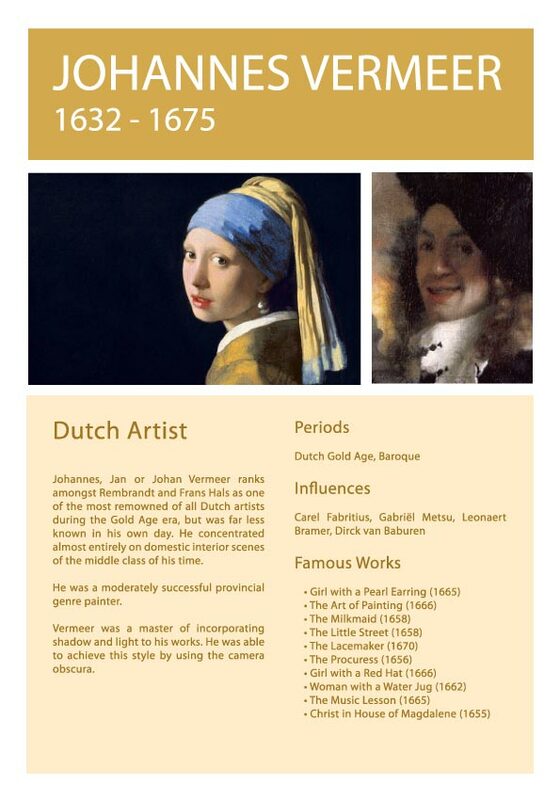 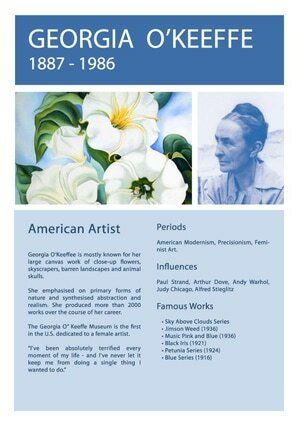 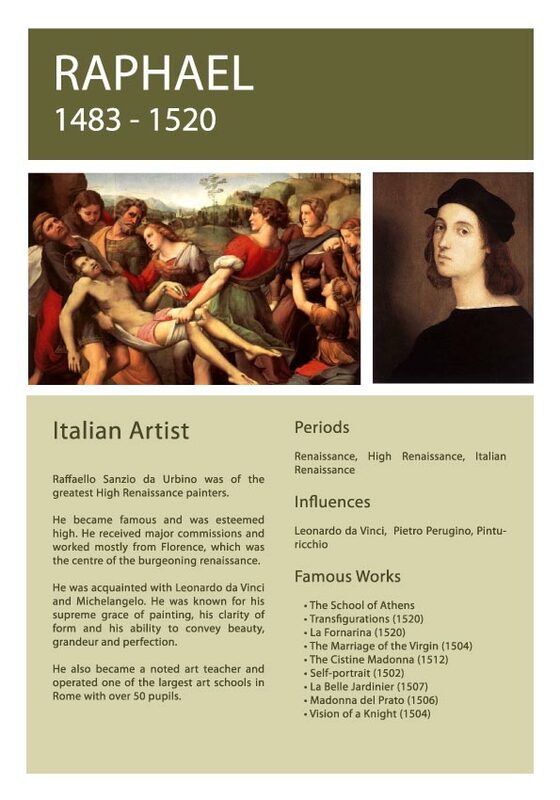 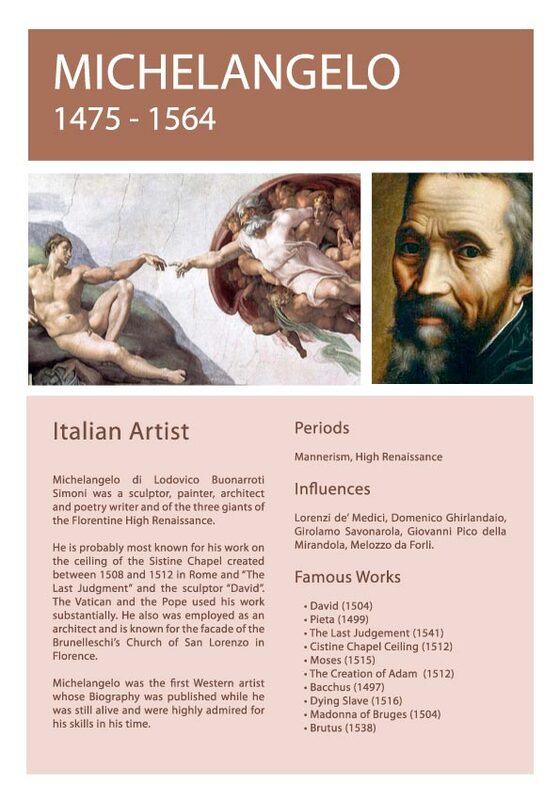 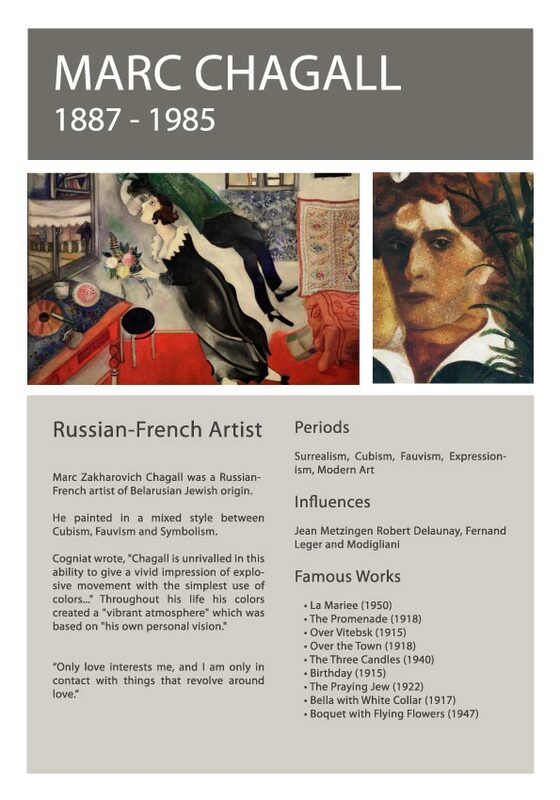 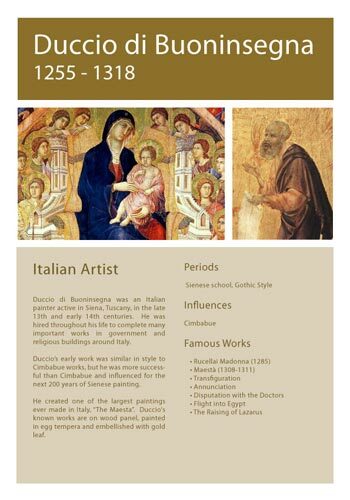 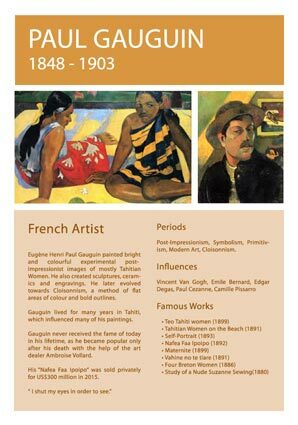 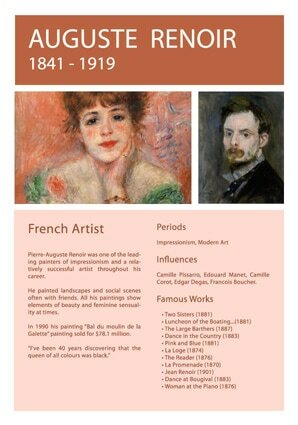 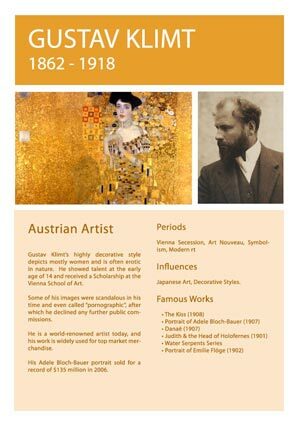 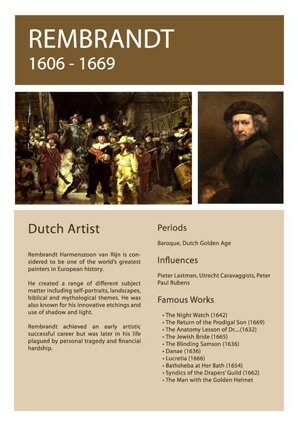 This selection of information sheets on the world's most famous artists has been created for our art students. 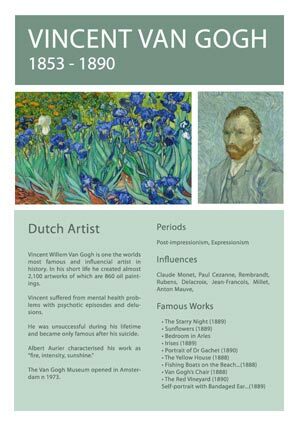 They will be helpful for art teachers and art schools alike. 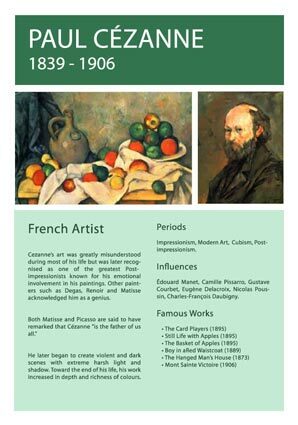 Each page includes particulars on the period, influence and most known works of the artist, as well as a short condensed bio. 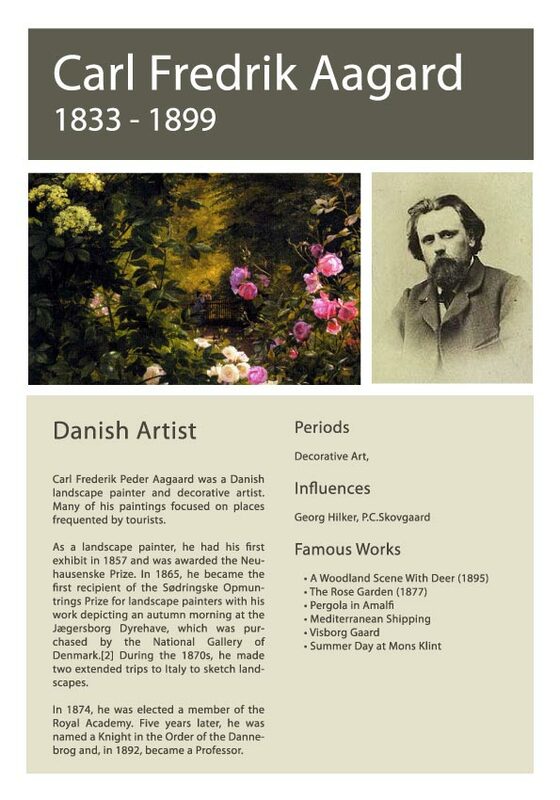 The production of the artist information sheets is an ongoing work, and further fact sheets will be added over time, so it is worth to come back. 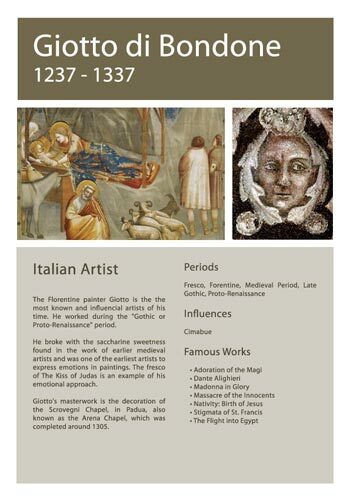 For printing purposes, each information page is downloadable as an A4 "pdf" file. 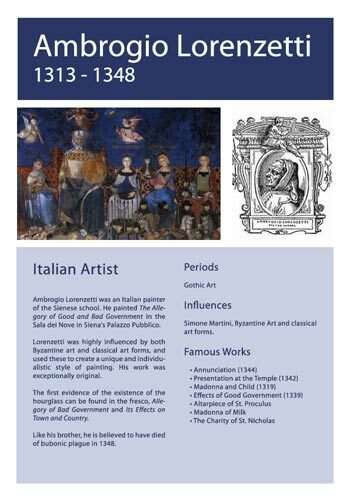 Please note that these information pages are copyright protected, and permission of use is restricted to teachers for educational use in the classroom or private personal studies, NEVER for any type of commercial purpose. 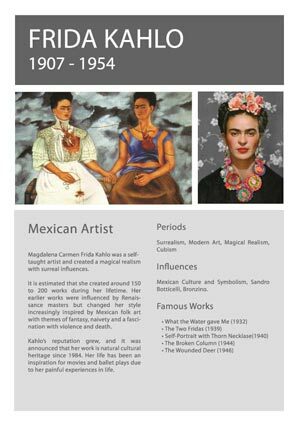 You are allowed to use an extract of three info sheet samples for your Online article or blog, if you provide a direct link to this webpage.